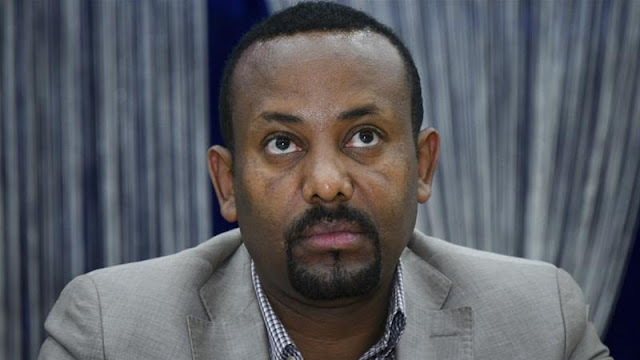 It will be clear in the next few weeks what Dr. Abiy Ahmed can and can’t do as the leader of a regime facing an existential crisis. As the new PM has been elected in the face of fierce opposition and backstabbing by the TPLF elite, not to mention the popular discontent fueling the unrest across the nation, his reign will certainly be a rollercoaster. Whatever the case, I wish Dr. Abiy all the best during the rough and bumpy ride at this critical juncture in Ethiopian history. Politics aside, one must appreciate the diversity within Dr. Abiy’s extended family that exemplifies the beauty and best of Ethiopia. Born in Beshasha, Jimma Zone, in the aftermath of the 1974 revolution, his name was Abiyot, “revolution”, now using his nickname Abiy, according to the Reporter. It indicates that his parents were enthusiastic supporters of the revolution. His father, Ahmed Ali, is a Muslim Oromo, who was once jailed suspected of being an OLF supporter. His mother, Tezeta Wolde, is a Christian Amhara. His wife, Zinash Tayachew, is an Amhara hailing from the city of Gonder. When Dr. Abiy swears in as the new PM, his extended Muslim, Christian, Oromo and Amhara families will proudly claim that he is one of their own. But in reality, he must be a leader for all Ethiopians regardless where he comes from. This is an incredible shift in a country affected by the toxicity of ethnic politics. But most importantly, Dr. Abiy once said that building ethnic fences around people is not something anyone should be proud of. For the first time in the last 27 years, he will be the first leader of the EPRDF regime, who proudly identifies himself as an Ethiopian. May God help the new PM to be a leader who will inspire and uplift the nation, side with the oppressed and turn his back on the oppressors. If he does that, his power will be steadied by the people and Ethiopia will change for the better and can transition to an all-inclusive democratic order. TPLF’s tortuous era of cruelty, robbery, divisiveness and stupidity needs a clusure.